So you already know that I run for cupcakes. And cake. Pie, too. Heck, if it’s a baked good that begins with flour, butter and sugar, I’m not turning it down. Unfortunately, I am also a long-time Weight Watchers attendee. Almost 100% due to the above-mentioned addiction to baked goods. It’s been a big struggle for the last several years because they really penalize you for eating carbs. 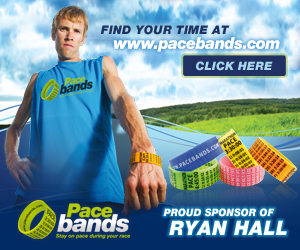 It’s less than ideal if you are an endurance runner, and I’ve usually just rolled my eyes and eaten the bread anyway. But I’ve also put back on a touch more than ten of the 70 pounds I lost. 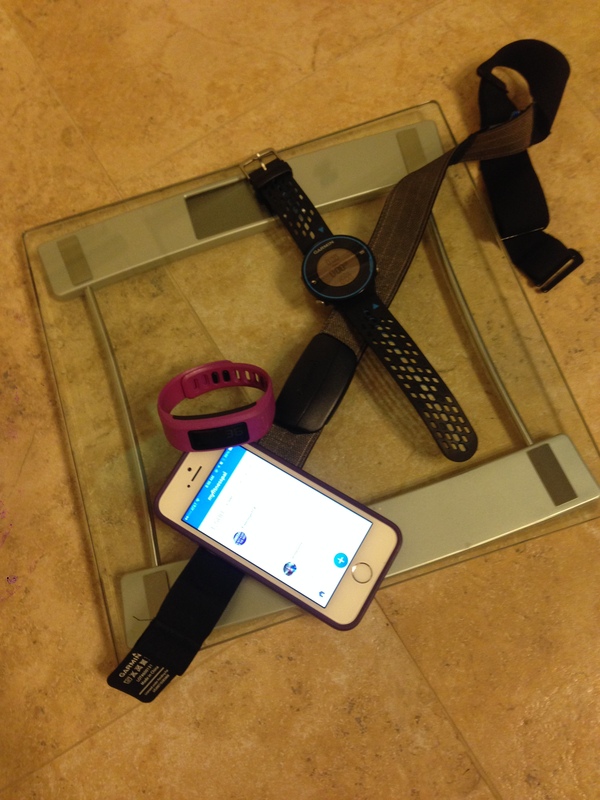 And with me running shorter distances, I have to figure out how to make it all work. Grasping at straws, I went back to skinnytaste.com to see what weird concoction she was whipping together for dinner. Then I saw it. Easy Bagels. What the heck, let’s see what the recipe looked like. Well, it was promising – only five ingredients. I usually lose interest after three or four ingredients, which is how my kitchen disasters begin. There are only a few steps, too, which is even better, because I quit reading after a bit. Have I told you all that I am married to a chef? Seriously, I don’t cook and don’t have to cook. I’ve always said that if I’m in charge of dinner, it’s coming from a waitress or a window. In a bowl, combine flour, baking powder and salt and whisk it about for a moment. Add the yogurt and mix until combined. (I wish I had used my KitchenAid Mixer with a dough hook). Dust the work surface (and your hands!) with flour and knead the dough until it looks like dough and isn’t sticky. Divide the dough into four balls. Roll into thick ropes (about 3/4″ thick) and then join them into the shape of a bagel. Place them onto a Silpat (or you could use parchment paper, but be sure to spray it or these babies will stick!) with plenty of room to expand a bit. Top with the egg wash and sprinkle your favorite bagel topping. I used sesame seeds. Bake at 375ºF on the top rack for 25 minutes. Let cool for 10 minutes. Oh my goodness – I baked! Ok, seriously, these things were easy enough that even I couldn’t screw them up and my daughter and I made them all while husband put away groceries! Yep, it really was a “less than 10 minutes of work” kind of recipe. And when they came out of the oven, they smelled and looked delicious! Final verdict? I had one toasted with a little bit of butter and I am in heaven. It’s a little tangy because of the yogurt, but I was really stunned at how stinking good these things are! Hallelujah – carbs are on the plan again! We are a numbers-driven society. After having lost fifty plus pounds, I have stalled. Seriously, like the eighteen wheeler in the middle lane of the freeway. I have gained and lost the same half pound for at least the last twelve months. I gave myself a break for a couple of those months as I was recovering from surgery, but I really thought my “last ten pounds” would melt right off once I got back to running in the spring. To say I was frustrated would be an understatement and I took it to Facebook. I had no idea that my plea for a good dietician would be such a hot button topic that morning, but apparently we are all in same boat. I felt like I had a pretty good handle on the calories in and calories out part of the equation. In fact, I was restricting myself to 1300 -1350 calories per day and not adding back anything despite the running I was doing or the cross-training on the other days. My perfectly calibrated Garmin with heart rate monitor would regularly tell me I was burning between 250 calories (on light training days) all the way to 1000 calories for a ten mile run day and yet I was only adding calories on run days longer than an hour and those came in the form of a little gel packet of carbs. It was tough to hear friends ask me if I was consuming TOO FEW calories. The idea of consuming more calories when my weight had stayed the same at 1350 calories was ludicrous!! If I ate more, I would gain, right? I set out to research the idea before I just willy-nilly added calories and went back up to 190 pounds overnight. 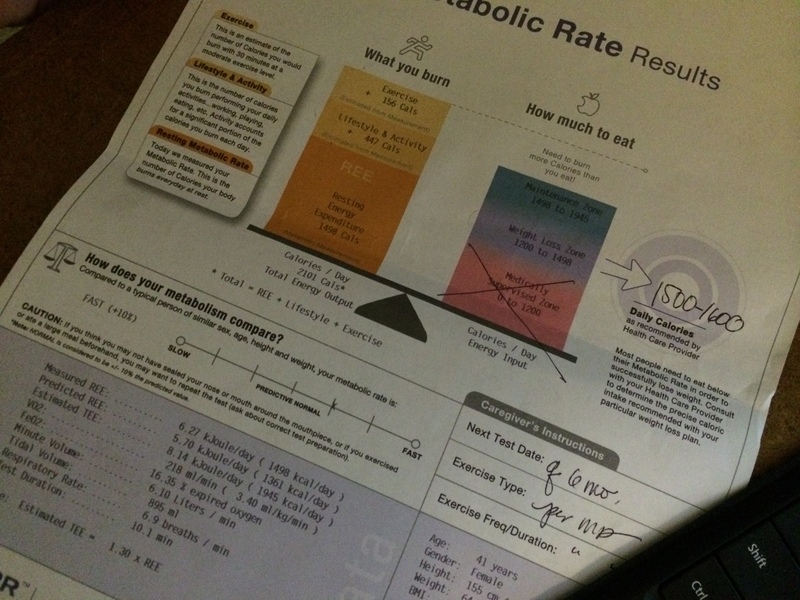 I learned that I wanted to be sure I ate at least enough to cover my resting metabolic rate, otherwise my metabolism would possibly slow down. Being 5’1 and over 40, that was absolutely the last thing I wanted to do. Seriously, I eat any less and those around me might not be very happy with my attitude. I sought out an appointment at Cooper Clinic in Dallas. They are the gold standard when it comes to health and fitness and we are so lucky they are right in our backyard. My appointment was scheduled for a few days later. The appointment was scheduled for first thing in the morning because you have to have been fasting for 12 hours. That meant no food, water, pills, exercise, nothing. I ate an early dinner the night before and went straight to bed. When I arrived, I handed the front desk my paperwork that was emailed to me a few days before. I was ushered into a nice dark room with classical music and allowed to relax to bring my heart rate back down to a resting state after the drive over. The dietician explained how the test would work and then made sure the mask fit over my mouth and my nose was plugged so that the test was accurate. The machine calibrated itself during this time to the ambient oxygen level in the room and was soon ready. The test was easy – all that was required was for me to breathe normally for ten minutes. When the test was over, the numbers were spit out on a two page report based on the test. Who knew? My resting metabolic rate was 1498! It was a solid 150 calories per day higher than any online calculator. Despite all the dumb things I have done over the years with diet and exercise, I have a higher metabolism than average! Add in the calories I burn just working a desk job and usual activity of living, my weight loss zone was between 1500-1600 calories per day. Christie also instructed me to eat back half of ma calories burned on the “big-burn” days like my long runs. She promised that if I made these changes, I should start to see a little movement in the scale. Two weeks later, I sheepishly admit that the test was correct. I have increased my calories, all clean and nutritionally dense, and have seen a decline in the scale of about a pound and a half. The trend is definitely downward, which makes me pretty happy. So I call this little experiment a win. The test at Cooper Clinic ran $103 and included a short consultation with the dietician after to get an idea of what the numbers actually mean. You can get the test at a few other locations for up to $20 cheaper, but it usually doesn’t come with someone that can truly give you advice on how to interpret the numbers. I would say it $103 well spent.